Are you spending too much time posting content to social media and not enough time engaging? 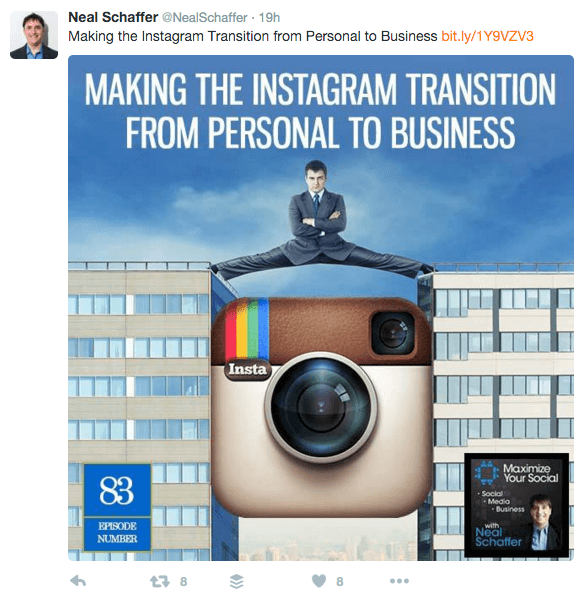 Do you want an effective strategy for creating social media content quickly? 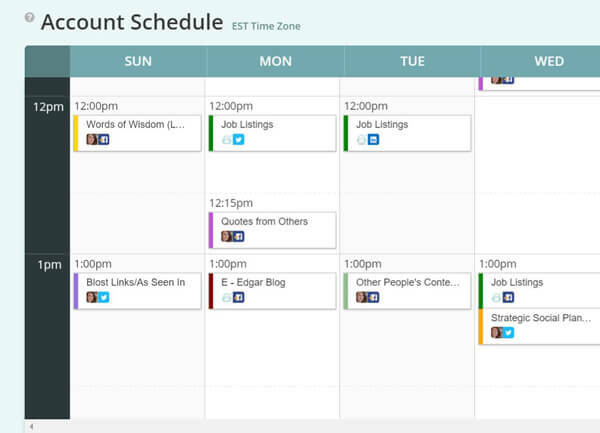 By creating and scheduling content in batches, you’ll be able to make more efficient use of your time on social media. In this article you’ll discover an easy way to create social media updates in batches so you have more time for live engagement. Say you decided to start having a cookie after dinner every day. You probably wouldn’t whisk together a few drops of egg, a few pinches of sugar, a sliver of butter and a couple of chocolate chips so that you can bake one lonely little cookie at a time. You’d make a whole batch of cookies at the start of the week. 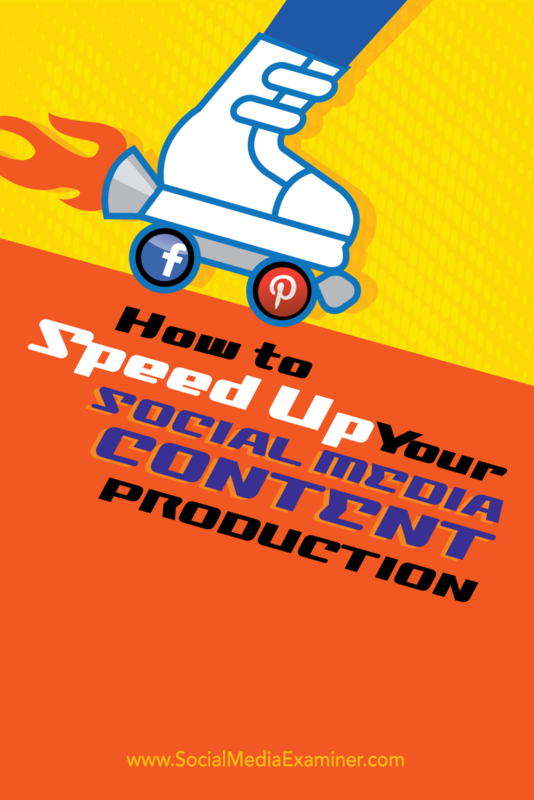 Discover how to speed up your social media content production. Creating one status update at a time doesn’t make any more sense than baking the lonely cookie over and over. It gets in the way of your schedule, because every time you want to share something, you have to set aside the time to write it and post it. You end up constantly task-switching, which can wreak havoc on your productivity without you even noticing. That’s where social batching comes in. When it really comes down to it, pretty much everything you do on social fits into one of two categories: posting original updates (status updates, photos/videos and links to your own content or someone else’s website), and live interaction (replies, retweets, shares and so on). Here’s how to prep everything you need for social media ahead of time, so you aren’t starting from scratch every single day. Links to Your Own Content – This one seems obvious, but its importance can’t be overstated. Link to your own blog posts, videos or podcasts. When you create content, be sure to publicize it again and again on social! Brand Mentions – Whenever someone mentions you in original content, make sure people know about it! This helps drive traffic to your podcast, interviews or product reviews, which is always appreciated. Seasonal Promotions – If you cringe at the thought of running your seasonal promos, you’re probably doing them wrong. Take the pain out of these promos by preparing them in batches, considering each promo to be a separate category. Save your work in a library you can revisit each year to maximize the return on your effort. Other People’s Content – This is an important part of a successful social strategy. Simply put, there’s so much great content out there on the web that you shouldn’t feel pressured to create everything from scratch yourself. Share other people’s content. Your audience will appreciate it. Single Use – In general, repeating content on social is a very good thing. But sometimes you might want to say something only once. This can be an easy batch to create and can include everything from topical, time-sensitive questions to short-term promotions. 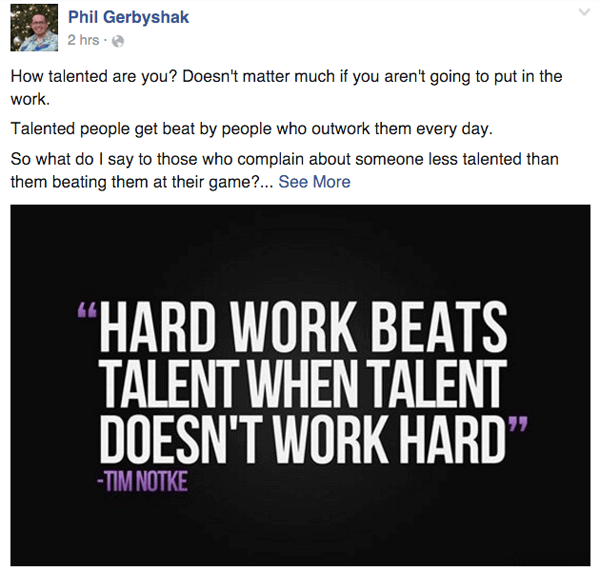 Words of Wisdom – This is actually broken down into two categories. First, use your own tips and advice. Then add quotes from other people. Lumping them together in one category is helpful if you’re just starting to build your content library. Share your thoughts and those of others. Now it’s time to turn these categories into something that will save you time. Say you end up with six types of updates that you routinely share. Let’s keep it simple and assume that you’re going to post from each category with the same frequency. If you’re posting three updates a day, five days a week, that’s a pretty respectable number when you’re starting out. That makes 15 updates a week or 60 a month. Sixty updates a month comes down to 10 updates per category per month. Once a month, sit down and write 10 updates per category. That’s it! Ten links to blog posts you think are interesting. (Shouldn’t be too hard to find, right?) Ten tips or quotes. Ten links to your own blog posts, and so on. When you’re done, you take your big batch of updates, load them into your scheduler of choice and kick back knowing that for the next four weeks, your social profiles are going to keep posting a steady stream of updates at all the right times, no matter where you are or what you’re doing. Notice all the updates scheduled from different categories. Since you’re not spending time every day thinking of new stuff to post, you can actually spend more time interacting live than you were before. And let’s be honest, that’s the fun part of social media anyway, isn’t it? You can’t plan live interactions ahead of time, because you don’t know what other people are going to post in advance. You can, however, plan how much time you’re going to dedicate to live interactions in advance. 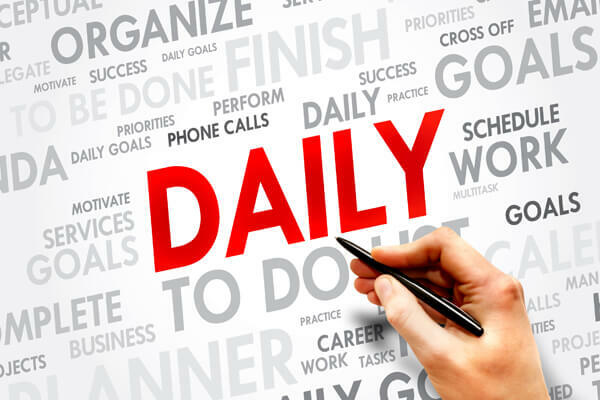 Instead of making your live time on social media something you use to fill all of the gaps in your daily routine, make it a part of your daily routine. Set aside blocks of time throughout the day for checking social and interacting live, and stick to those times. Respond to notifications, engage other users, find articles to share, retweet The Rock, do whatever, but do it on a schedule. Make a schedule and stick to it. Image: Shutterstock. And think about your live interactions categorically: retweets, Q&A, responding to messages, etc. Use these categories to help guide your live engagement batching and make it go even more quickly. For instance, sit down one afternoon and think up a dozen questions to ask your followers. Then sprinkle those questions into your schedule over the next week or two. You’ll be surprised how easy it is to drive engagement that way. Knock out as much as you can in batches so the rest of the time, you’re not falling into those nasty task-switching habits that keep you distracted from what you should be doing. You’ll likely find that working in batches will eliminate distractions, boost productivity and help you engage more with your audience. It’s a simple solution for getting more done in less time. Start to experiment and see what you can come up with on your own! What do you think? Will batching your social media help you manage your time more effectively? Have you tried batching your social media? What results have you noticed? Share your thoughts in the comments below. Daily to do cloud photo from Shutterstock. 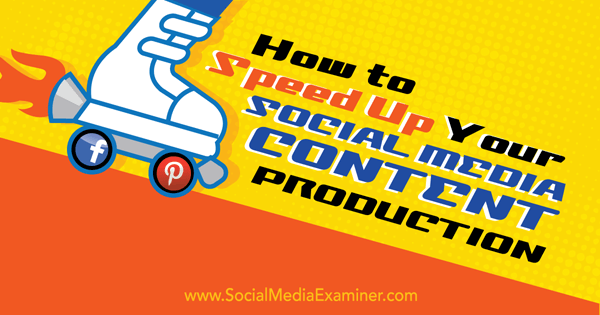 Tips for speeding up your social media content production. Laura Roeder is the founder of Edgar, a new social media automation tool designed to prevent updates from going to waste.